A few weeks ago, I was anxious. I could audibly hear every breath exiting and entering my body. 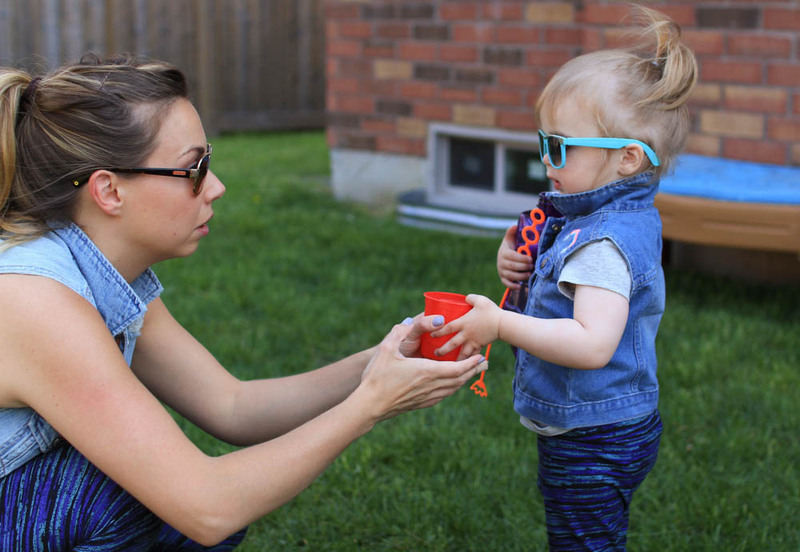 Every task, including putting my kids’ shoes on for them, was a struggle. I had a lot on my mind that included worrying about one of my kids, who was struggling, and some tough work-based decisions that I had to make. I felt like the weight of the world was on my shoulders and I would be crushed at any moment. I wasn’t able to answer my kids’ questions without hearing a quiver in my voice. I was shattering. 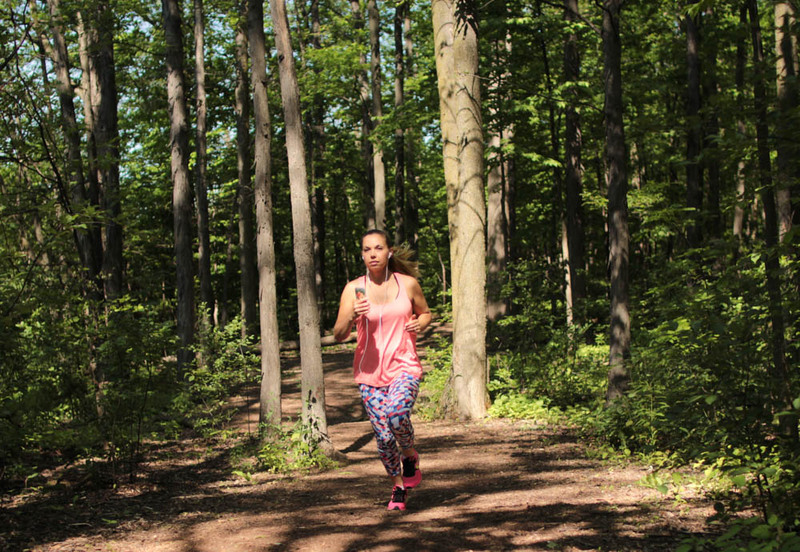 One day, as I finally hit send on an email that had been weighing heavily on me, something told me that I needed to run. Physically run away from my problems and gain some perspective. 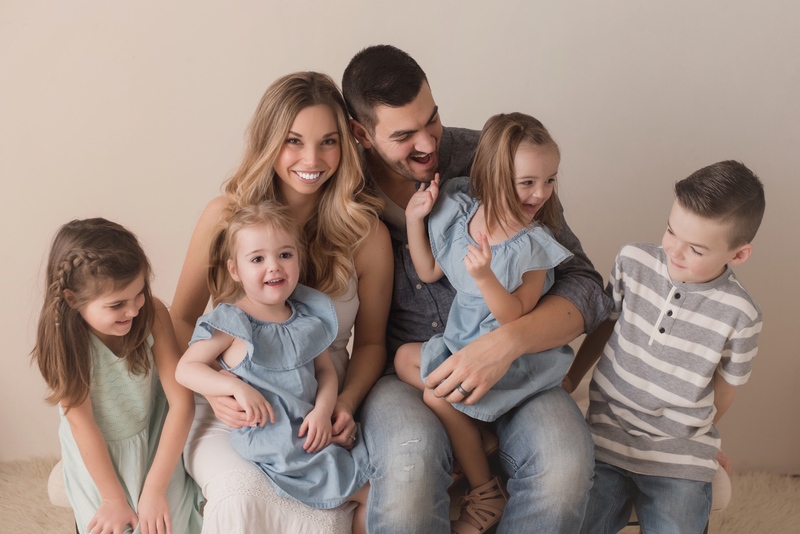 Luckily, my husband Mike was just walking in the door from work at that moment and I was able to leave him with the kids and head out the door. As I rounded the corner from the streets lined with houses and entered the path through the forest near my house, my feet began to move faster. I was running… fast. My muscles ached as my body tried to comprehend this new feeling. You see, despite working out and getting my (new) body back after babies, I wasn’t doing any cardio, only resistance training. Up until this point, I didn’t see the need to do cardio. I was getting the results I wanted to see from portion control, resistance training and making healthy dietary choices. Why bother with sweaty, time-consuming cardio? Little did I know that my mind and body had been craving cardio the entire time. As I continued to run along that path, something incredible began to happen. I stopped worrying. For the first time in a week, I didn’t feel like I was going to shatter. My mind was gaining perspective and new ideas and solutions were bubbling to the surface. My entire being was strengthening and I was flying. Throughout the next week, I flew out the door each day as Mike came home from work. I was smiling again, and going through my day with ease and confidence. My anxiety disappeared and I was able to tackle each problem that came my way with a clear mind. I even began to feel my body strengthen. But as life with kids goes, illness decided to pay a visit to our home and my runs were put on pause. Now that everyone is healthy again, I am ready to jump back into my running routine. I am beginning a two-week challenge to be #evenbetter. I will be running each day while maintaining my resistance training and healthy dietary choices. I will also start including my family in my cardio journey, including going on family bike rides and nature hikes. 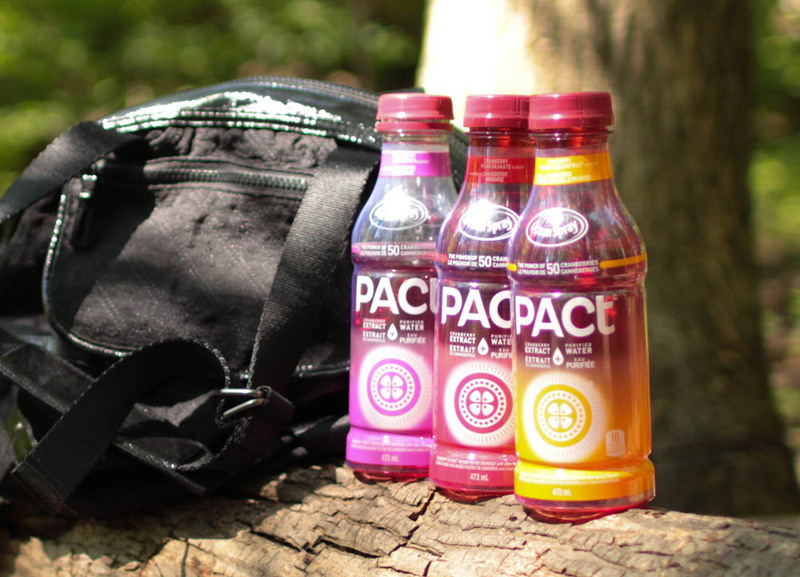 Because I struggle at times to get enough water, Ocean Spray® will be keeping me hydrated with their Ocean Spray® PACt® Cranberry Extract Waters so I can dial up on all the healthy benefits. 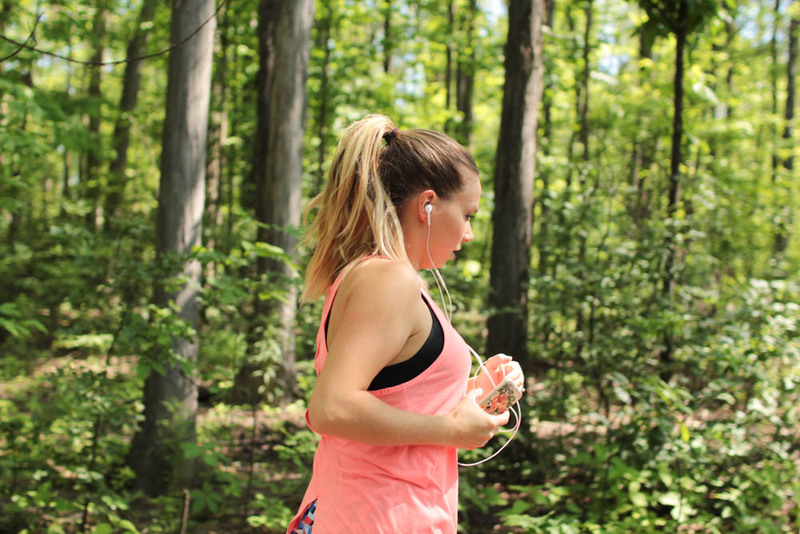 To use running as a stress-release and to control my anxiety. 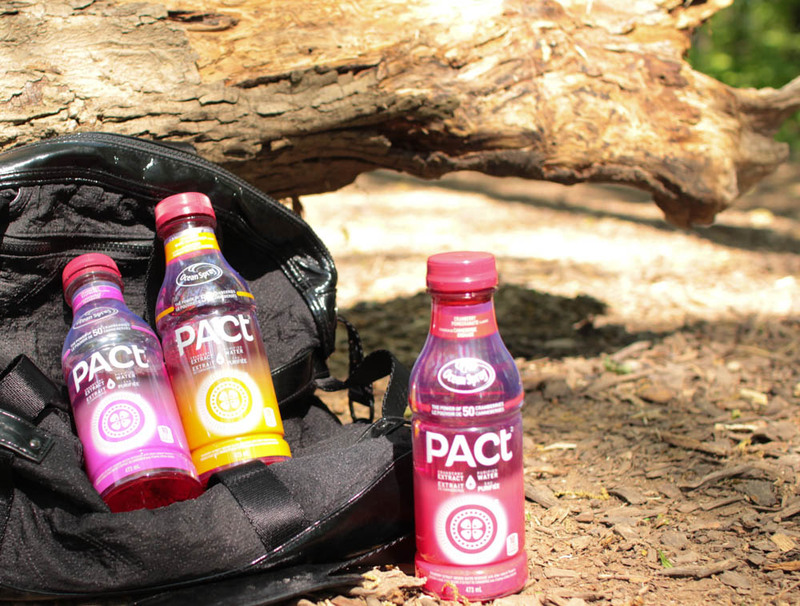 Keeping myself (and my family) hydrated with Ocean Spray® PACt® Cranberry Extract Water flavours – including Cranberry Pomegranate, Cranberry Raspberry and Cranberry Mango Passionfruit – will make the entire challenge a little more fun and sweet! The last time I was really into running, I either found that I would get bored of drinking so much water, or not drink enough and end up dehydrated. Ocean Spray® has created the perfect low-calorie drink that is full of ingredients I can feel good about putting into my body. Ocean Spray® PACt® Cranberry Extract Water delivers unique cranberry benefits. It contains PACs, or proanthocyanidins – unique, powerful elements found deep inside cranberries – to help protect against certain harmful bacteria from sticking in the urinary tract. Made from purified water, each bottle is only 10 calories, is naturally sweetened, and contains no GMOs or artificial colours – the colour comes straight from the red cranberries. I am really excited to start this journey with my family and see what kind of benefits each of us gain from adding more cardio to our daily lives. Make sure to check in in two weeks to see how we did! Previous Previous post: Triple Flip Haul And Giveaway!